The proper hormonal balance is one of the most important factors in good health. People who are suffering from hormonal imbalances can suffer from a wide range of medical conditions that will make life miserable. If you are suffering from something that you just can’t seem to shake off, you may need to get your hormone levels checked. 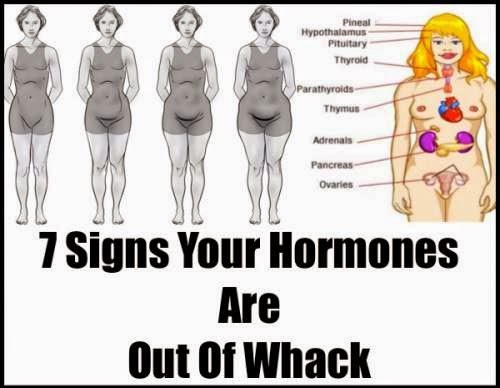 Here is a look at seven signs that your hormones are out of whack. When your hormone levels are off, one of the most prominent symptoms is a constant state of fatigue. This fatigue can stay with you no matter how much sleep you get. If you are always yawning and never seem to have enough energy, then you should get your hormone levels checked to see if they are okay. This is one of the most troubling symptoms of hormonal imbalances. When you wake up in the middle of the night in a puddle of sweat, it is a very disconcerting sensation. Getting your hormone levels balanced will quickly eliminate night sweats. If you are suddenly experiencing acne again for the first time since you were a teenager, then you are likely suffering from a hormonal imbalance. The skin can easily be affected by hormone changes. Seeing acne when you are getting on in years is one of the easiest ways to tell that you are having trouble with your hormones. One of the parts of your body that is most affected by your hormones is your hair. This includes both your body hair as well as the hair on your head. When you are suffering from a hormonal imbalance, you will often start to get hair growing in places where you don’t want it. If you are suddenly developing a moustache or other unwanted body hair, you need to get your hormone levels checked. On the other hand, a hormonal imbalance can also cause the hair on the top of your head to start thinning. This thinning hair is another good sign that your hormones are out of whack. Your period will be stable and predictable when your hormones are in balance. When you start to miss periods or have them arrive at unpredictable times, then you are most likely suffering from a hormonal imbalance. Every woman knows that hormone levels have a direct link to emotions. A look at the mood swings that come along with things like pregnancy and menstruation are proof of this. Likewise, a hormonal imbalance can throw your emotions out of whack. Unexplained emotional turmoil is a good sign that your hormones need some balancing. If you cannot seem to lose weight no matter how much you diet or exercise, it could be due to a hormonal imbalance. Likewise, if you have sudden weight gains or losses that are inexplicable, you should get your hormone levels checked to make sure they are not the cause.